Building a Richmond American home was an easy decision for Chris and his wife, Tania. As a Richmond American superintendent, Chris knew that he could count on quality construction, abundant options and knowledgeable, attentive employees to assist him during every step of the homebuying process. 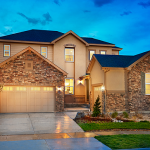 The first-time homebuyers narrowed their search to Castle Rock, Colorado, and visited many neighborhoods before falling in love with Founders Village. After much deliberation, they chose the Coral floor plan because it “offered a flex room and two places to relax.” They then selected a homesite backing to open space so they could enjoy stunning, unobstructed views of the surrounding landscape. 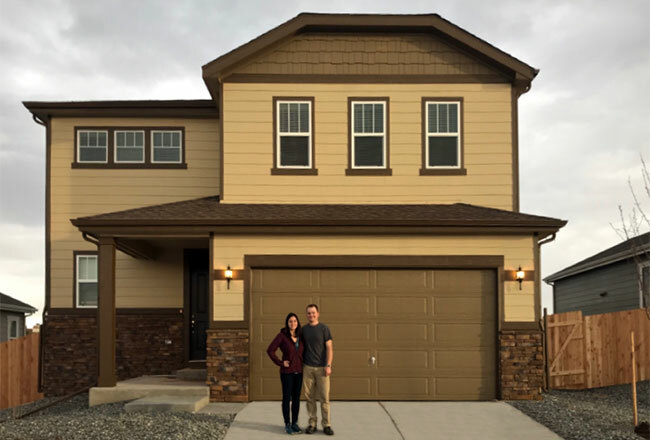 Chris would recommend Richmond American Homes to friends and family because “the plans are well built and the people are great to work with.” We wish him and Tania many years of happiness in their beautiful new home! Start your new home search at RichmondAmerican.com.